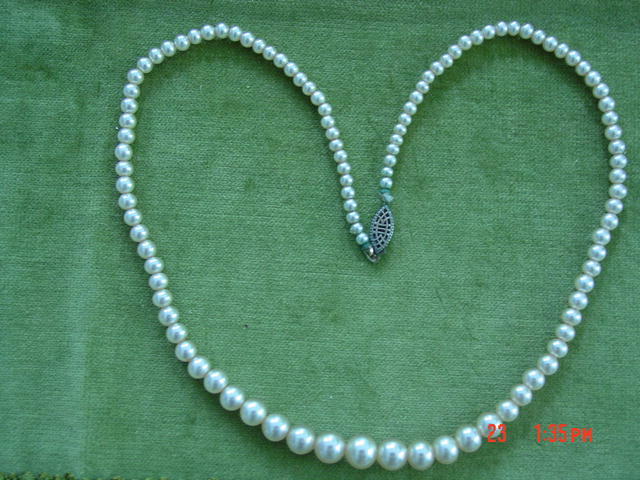 This is a single strand of graduated champagne colored imitation pearl bead necklace 15" long. 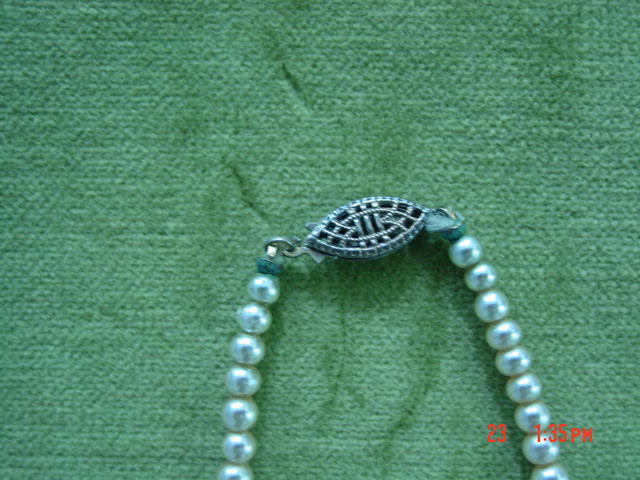 One of the tiniest beads closest to the clasp has some paint missing. The beads are not individually knotted but they are tightly strung. It is a dainty little necklace. 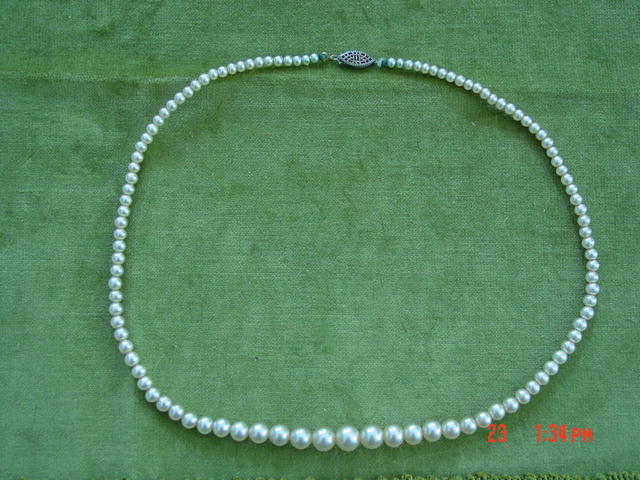 Items Similar To "15" Graduated Champagne Imitation Pearl Necklace"